"Are We Saved Through Faith Alone?" "Are We Saved Through Faith Alone?" Many Protestants believe we are saved by "faith alone" and they say Catholics believe they can “work” their way into Heaven. How do we answer them? First of all, ask them to show you where in the Catechism, the official teaching of the Catholic Church, does it teach that we can “work” our way into Heaven? They can’t, because it doesn’t. The Catholic Church does not now, nor has it ever, taught a doctrine of salvation by works…that we can “work” our way into Heaven. Second, ask them to show you where in the Bible does it teach that we are saved by “faith alone.” They can’t, because it doesn’t. 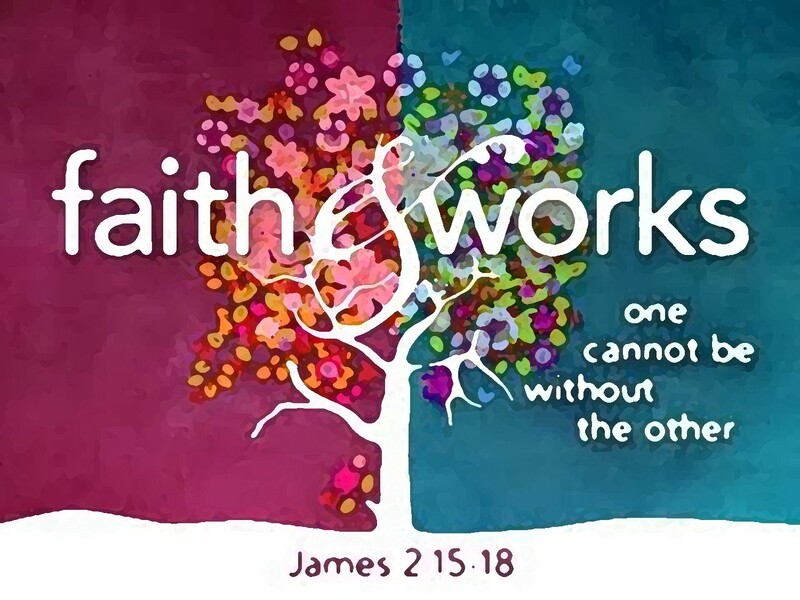 The only place in all of Scripture where the phrase “faith alone” appears is in James (James 2:24), where it says that we are NOT…justified (or saved) by faith alone. So, one of the two main pillars of Protestantism (the doctrine of salvation by faith alone) not only doesn’t appear in the Bible, but the Bible actually says the exact opposite: That we are NOT saved by faith alone. Third, ask them that if works have nothing to do with our salvation, then how come every passage in the New Testament that talks about judgment says we will be judged by our works, not by whether or not we have faith alone? We see this in Romans 2, Matthew 15 and 16, 1 Peter, Revelations 20 and 22, 2 Corinthians 5, and many, many more verses. Fourth, ask them that if we are saved by faith alone, why does 1 Corinthians 13:13 say that love is greater than faith? Shouldn’t it be the other way around?